by Oliver Heaviside and Heinrich Hertz). 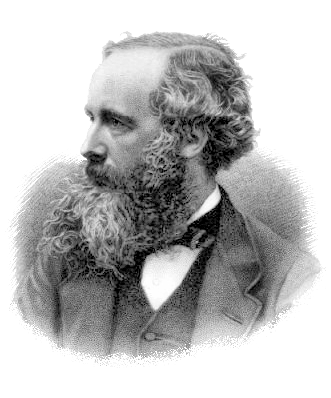 Maxwell's Equations are a set of fundamental relationships, which govern how electric and magnetic fields interact. The equations explain how these fields are generated and interact with each other, as well as their relationship to charge and current. They form the backbone of much of modern electrical and telecommunication technology and are often quoted as being the most important equations of all time. The equations consist of a set of four - Gauss's Electric Field Law, Gauss's Magnetic Field Law, Faraday's Law and the Ampere Maxwell Law. This note explains the idea behind each of the four equations, what they are trying to accomplish and give the reader a broad overview to the full set of equations. Follow on notes will deal with each of these equations separately. These follow on notes, will explain the mathematics (both differential and integral forms) of each law and give example applications. Gauss's Electrical law defines the relation between charge ("Positive" & "Negative") and electric field. The law was initially formulated by Carl Friedrich Gauss in 1835. In Gauss's law, the electric field is the electrostatic field. It shows how the electrostatic field behaves and varies depending on the charge distribution within it. More formally it relates the electric flux [of the electric field flowing from positive to negative charges] passing through a closed surface to the charge contained within the surface. The electric field flux passing through a closed surface is proportional to the charged contained within that surface. The magnetic law defines the relationship between magnetic poles and the magnetic field. It is similar to the electric field law, except that individual magnetic poles ("North" & "South") cannot exist alone (whereas individual charge units can be separated from each other). That magnetic poles must exist as a pair has a large effect on the behavior of the magnetic flux. The total magnetic flux passing through a surface is equal to zero. It was Michael Faraday, who in 1831 demonstrated through a series of experiments that a conductor enclosing a varying magnetic field will have a current induced. This in turn, will create an electric field. Transformers and electrical machines all operate on the basis of Faraday's Law. Another way to view this is that a time varying magnetic field is always associated with a time varying electric field. And in reverse, with a time varying electric field always associated with a varying magnetic field. A changing magnetic flux within a surface induces a electromotive force (EMF) and induced current. The induced current creates a circulating electric field. Discovered in 1826 by André-Marie Ampère, the law describes the magnetic fields produced by a varying electric current. Ampère initially considered steady electric currents and this was later expanded by Maxwell to included time varying currents. Changing current or electric flux through a surface produces a changing magnetic field. It is assumed that the reader is familiar with the necessary maths to be able to apply the equations. If you need to learn or brush up on this, there are good engineering maths textbooks and resources on the Internet. 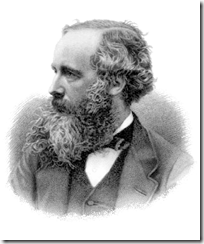 Having said that, we will give a very quick review of the meaning of the key terms used in the equations. Each of these laws is explained in detail, in associated notes (listed above). If you have any general comments, please discuss below. If you have a detailed comment on a particular law, please discuss in the detailed note.